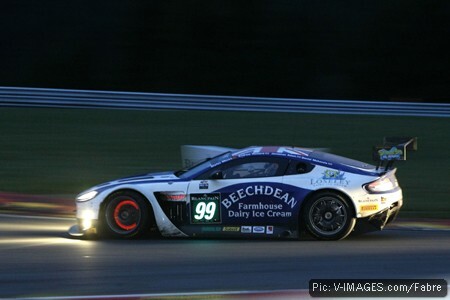 This year saw Daniel move from into the world of GT racing, competing in the Blancpain Endurance Series for Beechdean AMR. The team didn’t complete the five-race season, as its owner was also mounting a successful assault on the British GT title, but it still gave Daniel a whole new perspective on racing. Here you can re-live his season in his own words. There was a lot for Daniel to learn before and during the season as he made the transition from single seaters to a completely different type of car. “GT cars are very quick, capable machines and very different to a single seater. The weight in a GT car is twice as much as a single seater so you have to get used to the sheer size of the car, the weight, and the movement. 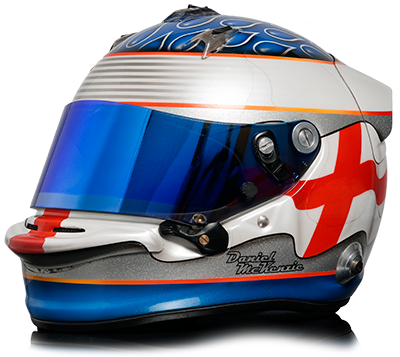 “I had once driven a Porsche Carrera Cup car for an 18th birthday present. I got that one taste of experience at Brands Hatch for the day and found I remembered enough to know how much respect you have to give GT cars. Because I already knew some of what to expect, it was a case of getting my mind around how the car handled. Coming from many years of single seaters, it was a case of re-hardwiring how the brain worked and adapting every last thing you did in a single seater to a GT car. “You still have to be smooth, brake late and brake hard but it’s a different refinement – you can’t get away with so much as in a single seater. It’s a bit alien – the car is slower to react and you’ve got to drive it more intelligently. You can’t commit to corners as late as in a single seater because you’ll miss the corner entirely. It’s a precise way of driving, in a machine that’s less precise. “There were two test days, the first was at the Algarve and the second was the pre-season test at Paul Ricard. One of the hardest things moving from single seaters to GTs is the sheer lack of seat time you get. In single seaters you are quite fortunate to be the only person driving the car. In GTs you have to jump in and get used to things right away. That’s something I think I was still improving on at the end of the year, getting in and figuring things out from the start. It was always going to be tricky only doing a handful of races and sharing the tests, but it’s something as a GT driver you have to learn to adapt to. “I generally took the first stint in the races, it was mainly because it would teach me a bit more about racing these cars by getting stuck in from the start. It was a quite a learning curve – I was chucked in at the deep end from the start. A rolling start with 60-odd cars around you down to the first corner really pushes you, and that’s when you learn the most. Daniel raced at Monza, Silverstone, Paul Ricard and Spa, with mixed memories – from the highs of Italy and Belgium, to the lows of France and the UK where the car seemed cursed. “This was quite an incredible experience. Out of the limited races I had, that was one of the best – if not the best – in terms of the experience I had. I was actually leading the race at one stage and was second or third in class. “The next two races after Monza proved to be challenging. At Silverstone the gearbox compressor decided to give up the ghost very early on after a good start. It left me high and dry in fifth gear going into the tightest of hairpins. I had to pit and used a lot of time there, and that was race over – although we decided to keep going and learn what we could. “As the only race in the UK it meant a lot and it certainly wasn’t nice suffering a blow like that. Much as you might be hyped up for your home race, it’s times like these where you go away and rebuild and come back stronger. “Even though it isn’t the most characterful of circuits, it’s still one of the most enjoyable to drive. Whenever I’m at it I always manage to put in competitive lap times, and I love the circuit. I always get excited about it, and most people don’t seem to get that – but it’s one I always look forward to. “Unfortunately, a joke developed that there was a curse on the car brought by me. When you’re sat on the side of the track looking at the car when you want to be racing it leaves quite a sour taste in your mouth. When you stress a car to its limit you find the faults. Aston Martin learned from it and rebuilt. You move on. “There were a few nerves flying around before this race! Fortunately, they were good nerves, with the butterflies flying In formation. I’ve never done a 24-hour race before, and in those circumstances the uncertainty tries to play havoc withyou. It was something I was particularly excited about but also wanted to get it under my belt. As soon as I got my first stint out of the way it was one of the most enjoyable races I’ve had. “Everyone was very up for the 24 hours and Spa will stick in my mind for a very long time as my first 24 hour race. Getting that first stint out of the way and getting into the groove of it was the main thing. Night racing was difficult but, at the same time, it was one of those things where everyone was in the same boat and you just had to trust that everyone was braking at the right time. So what are Daniel’s hopes and plans for next season? 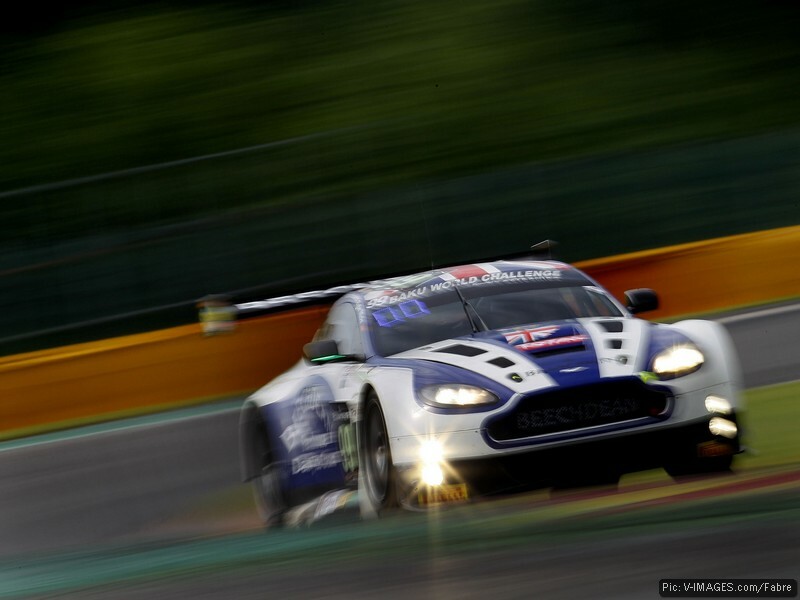 This entry was posted in Features and tagged Autodromo Nazionale Monza, Beechdean Motorsport, Blancpain Endurance Series, Circuit de Spa-Francorchamps, Circuit Paul Ricard, Silverstone Circuit, Total 24 Hours of Spa. Bookmark the permalink.